We Treat Each Pet As If It Were Our Own! Is your pet sick and requires treatment? 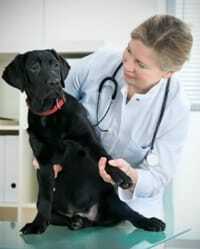 If so, Sims Animal Hospital is here to offer high-quality veterinarian care. Our team will make sure that your pet is comfortable and feels relaxed at our clinic. We are committed to providing gentle and personalized care. At Sims Animal Hospital, our team understands that pets are an integral part of your family and they need to be treated with care. Whether your pet needs dermatology treatment or dental services, we have got you covered. Rely on us for prompt and honest services. We make sure your furry friends are healthy and happy. Give us a call today at (502) 907-2004 to learn more about our services. We Offer Pet Grooming Services. Call Us Today! Copyright © 2018 animalhospitallouisvilleky.biz All rights reserved.